London, 5 April 2018: As UK car sales figures for the vital first quarter of 2018 are released today, highlighting a continued and dramatic decline in diesel purchases, global automotive analysts Sophus3 reveal that potential electric car buyers seeking alternatives are increasingly confused and frustrated over their online experience: are the car manufacturers missing a trick, missing sales and slowing down electric vehicle uptake as a result? Scott Gairns, Sophus3 Managing Director, said: “As Governments and local authorities continue the process of forcing diesel cars off the roads and high-profile pure electric brands such as Tesla make headlines, our analysis shows that the consumer is taking note, is interested in electric, but is still massively confused. Sophus3 is independent and tracks automotive web traffic across 42 markets, analysing the behaviour of 28 million visitors per month through a record 1.27 billion website visits in 2017. It is the only automotive analysis business in Europe that has a full and un-biased picture of all major European car market consumer behaviour and online journeys, on and between automotive websites: arguably a truer picture of car-buyer behaviour and desire than new car sales results. Sophus3’s analysis and intelligence particularly focuses on consumer demand right now, what car-buyers are likely to buy in the next 60 days, and data that indicate future car-buying trends. With over 15 years of online car-buyer behaviour knowledge, they can present future car-buying behaviours with a high degree of confidence. Sophus3 is a London-based international team working with all EU volume and premium car brands, and a growing business having recently won global accounts with major German car brands. The company was founded in 2002 by automotive digital entrepreneur Marcus Hodgkinson with the goal to build a collaborative online analysis platform for car brands that helps them understand consumer demand and market better to consumers increasingly researching online. As Europe’s only automotive technology company analysing online activity on behalf of all European car brands’, Sophus3 produces quarterly (AMI) market reports providing a comprehensive picture of consumer online behaviour on and between car brand digital platforms, whitepapers such as the recent – The end of the ICE age? 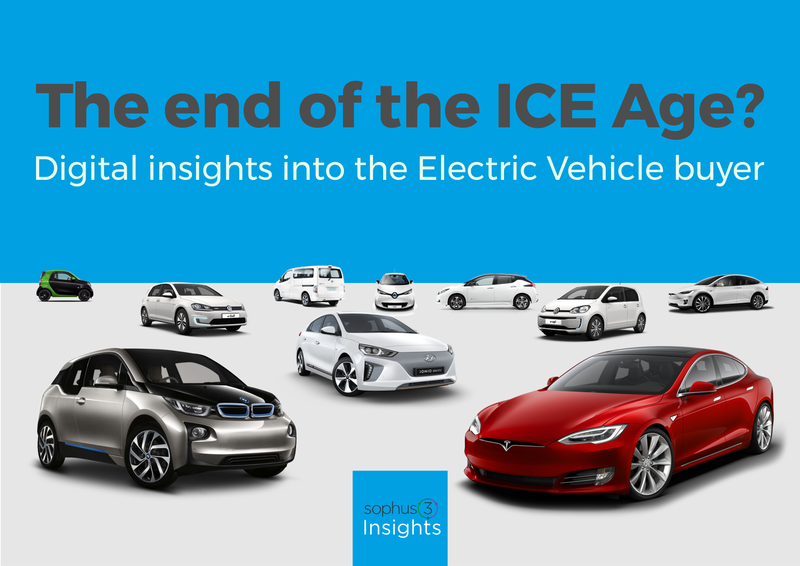 – Digital insights into the electric vehicle buyer https://www.sophus3.com/2018/01/11/the-end-of-the-ice-age/ – and an annual automotive insights forum. Scott Gairns: Managing Director, Sophus3, Scott has worked for Sophus3 for over 10 years, having started as a digital analyst, he became head of insight and customer engagement, before becoming managing director. In addition to managing Sophus3 operations, Scott also spearheads Sophus3’s consultancy and advisory services. His career began in France with digital and marketing roles for Société Générale and AGF Finance. He graduated with a Master’s degree in Business Administration from the Rennes Business School in France. Sophus3’s ‘2018 Digital Car Buyers’ report too big to be ignored?